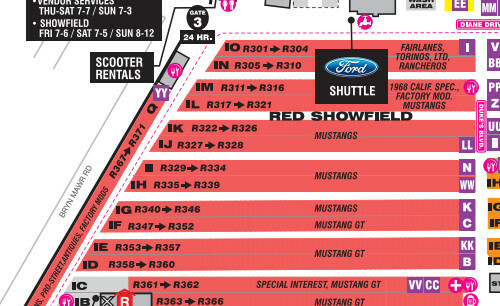 The 13th annual gathering of limited edition Mustang LX 5.0 Convertibles is being planned for the 2019 Carlisle All-Ford Nationals held from May 31 - June 2, 2019 in Carlisle, PA. It's time to register! Support this site and get some cool items. 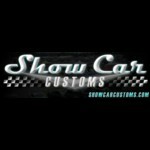 Choose from car parts, the club decal and other good stuff. We have a knowledgeable community of folks here at Triple White Fox. 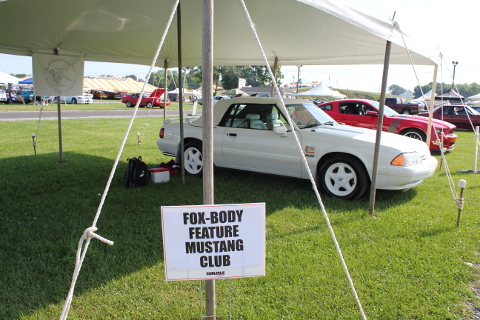 We talk feature cars and everything fox-body. Join us! Looking for vibrant white door belt moldings along with a set of door belt molding extensions. Driver's and passenger's sides. 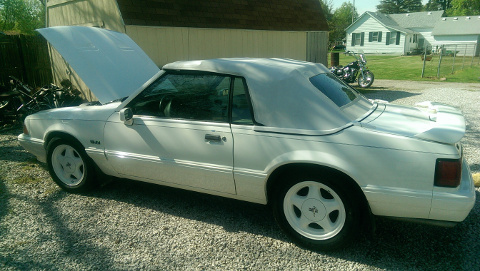 1993 Ford Mustang Vibrant White LX 5.0 Convertible "Feature Car". 104,000 miles. Manual transmission. 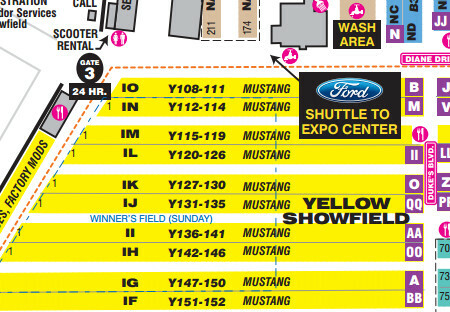 The tenth annual gathering of limited edition Mustang LX 5.0 Convertibles is being planned for the 2016 Carlisle All-Ford Nationals held from June 3-5, 2016 in Carlisle, PA. It's time to register! This is one of 1500 Special edition Triple White Feature cars produced in 1993 and is one of 444 rare 5 speeds. 56,000 miles. Part 1 of this pair of posts wasn't really a giveaway of a feature car. It was actually a feature car used in contest promotional materials in order to get your attention. And, that it did. There is at least one contest that was an honest to goodness feature car giveway. It was a contest from KISS 98.5 in Buffalo, NY offering a chance to win $10,000 in cash and a Limited Edition Mustang Convertible. From my archives, this is from a contest that was run by Nationwide Long Distance, a telecommuncations company. 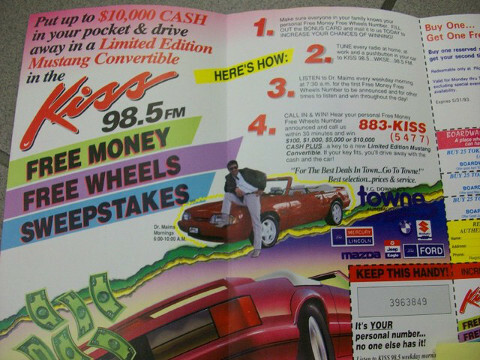 This image appeared on the contest entry box and pictured two stock Ford images one being a 1993 canary yellow feature car. Read more about From the archives - Win this car!